The Kitchen Studio at Pine Street is proud of our commitment to and involvement in the local community. Simply stated, it is part of who we are and what we do. We recognize our responsibility to give back to the community and actively partner with charitable organizations throughout the region. In addition to sponsoring organizations and their events, we also open up our showroom to the community for fundraisers, programs and other events. We invite you to learn more about the organizations we support as well as our own annual service initiative, The 100 Wheels Project. 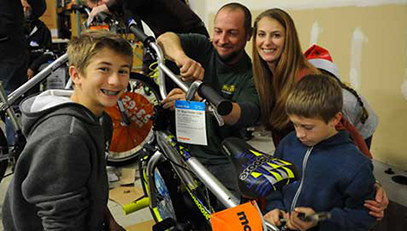 Each December, Pine Street Carpenters and The Kitchen Studio at Pine Street spearhead The 100 Wheels Project, a holiday giving program launched by Pine Street in 2008. With the support of customers and industry partners, we purchase 100 unassembled bicycles and join together for a festive bike-building party in mid-December. The bikes are then delivered to partner non-profit agencies in the local community who distribute these bikes to deserving children in their care. Since the program’s start, 740 local children have received brand new bicycles for the holidays from The 100 Wheels Project. To see videos from The 100 Wheels Project or to learn how to get involved, visit bikebuild.org. 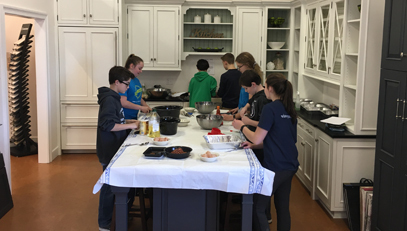 We often make our showroom available free of charge to community groups, non-profit organizations, and school groups looking for a space to host a fundraiser or event. In addition, several local non-profit organizations with limited space resources make use of our conference room for their meetings. Does your organization or group have an event they’d like to host at The Kitchen Studio? We’re happy to help! Just drop us an email or give us a call at 610.430.3333, ext. 124, to learn more. The Kitchen Studio at Pine Street makes environmental stewardship a fundamental aspect of the way we do business. We are on the front lines of the remodeling and building industry, and as such we recognize the impact our decisions have on our planet. We take that responsibility seriously. Listed here are just some of the ways in which we make an ongoing commitment to the environment. The Kitchen Studio at Pine Street is proud to partner with manufacturers who are committed not only to providing you with a high quality product built to last, but who are committed to the environment as well. 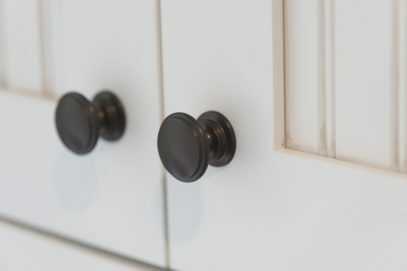 All of our cabinet partners are ESP-certified (Environmental Stewardship Program) by the Kitchen Cabinet Manufacturers Association, ensuring sound environmental management and sustainable practices. Our designers keep abreast of the latest sustainable products and innovative technologies on the marketplace. Knowing the impact and benefits of countless products and materials goes a long way in maximizing energy efficiency and reducing a home’s impact on the environment and your budget. 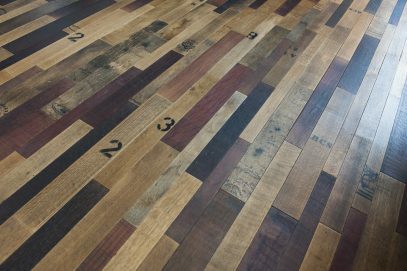 Our designers will work with you and our product partners to help you achieve all your remodeling goals, be it sustainable cork flooring, recycled glass tile, and everything in between. The Kitchen Studio at Pine Street partners with Habitat for Humanity ReStores whenever possible. 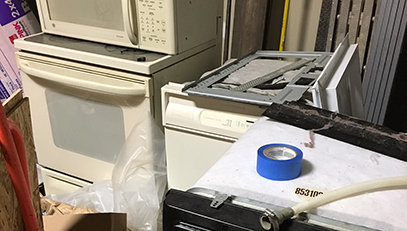 When remodeling your kitchen or bath, we often take salvageable items slated for the dumpster and donate these to one of Habitat for Humanity’s ReStores. If you wish, this can include your old cabinets. Located in Coatesville and Kennett Square, Habitat’s ReStores sell used and surplus building materials at a fraction of normal prices, with the proceeds supporting the construction of local Habitat houses. Not only do salvaged materials find a second life in another home, but the funds raised from their sale supports the building of new homes! For more information on Habitat for Humanity of Chester County, please visit hfhcc.org. Recognizing the importance of recycling building materials, our project managers take a proactive approach to recycling by integrating jobsite recycling into each remodeling project. 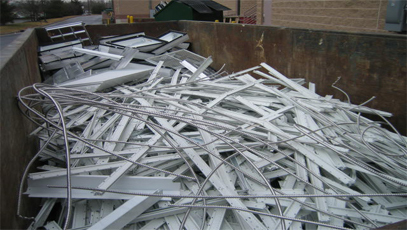 From clean fill jobsite dumpsters to metal recycling, we make a concerted effort to keep building materials from making their way into a landfill.